Philly heads to Big-D with the season on the line! The Philadelphia Eagles (6-8) are traveling to Dallas to take on the NFC East leading Cowboys (8-6), with nothing but playoff ambitions on the line. The Eagles started the season with a ‘Super Bowl or Bust’ attitude, and had a miserable opening and found no consistency. Dallas has looked really sharp in some games, but have totally regressed in others, but have done enough to take a lead in the NFC East. In essence, if Dallas wins this home matchup against Philadelphia, they have secured their spot in the postseason, while the Eagles are still trying to keep their playoff hopes alive. 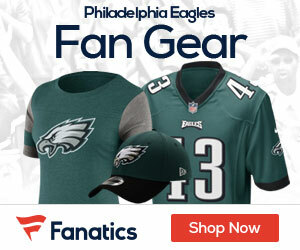 When the Eagles played the Cowboys earlier this year in Philadelphia, the game was a total blow-out. After Rob Ryan smashed the Eagles players and organization for going on an off-season spending spree, Philadelphia’s offense steam-rolled his defense to the tune of 34 points. The Eagles defense, which had been terrible going into the game, totally shut down the Tony Romo led offense, only allowing seven points in the game. As the Eagles head to Dallas in what has become a do-or-die game, it seems that Philadelphia almost planned this entire thing out. It would be too easy for the Eagles to lock up a playoff spot early on, take the commanding lead in the NFC, and walk into the playoffs with comfort. But no, that’s not the Eagles way. Andy Reid and the Eagles want to drag this out with the fan base, and hold them in suspense until the very last snap of the season. 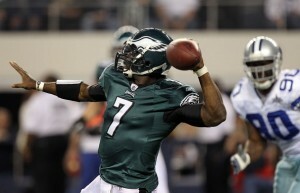 To put it in it’s base form, this game in Dallas will define what the 2011 Eagles season means. If Philadelphia goes out and wins by 30, their playoff hopes are not only still very much alive, but it will prove this team can be cohesive and win games. If for some reason the Eagles go to Dallas and get dominated on all sides of the ball, the season will end in a bust. And if somehow the Eagles keep the game close until the waning seconds, win or loss, the season will be have to be judged by the fan base. But, to be the realist, the Eagles will need all this to happen to get into the playoffs: beat the Cowboys, have the Giants lose this week against the Jets, to have the G-Men bounce back and beat Dallas in week 17, and then last but not least, beat the Redskins in week 17. By no means is this impossible or totally improbable, but a lot has to happen for Philadelphia to make the playoffs. Again, the tough road to the postseason starts this Saturday in Dallas. 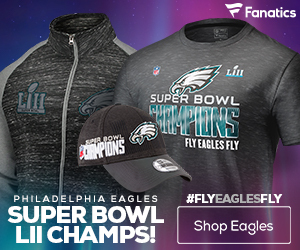 Philadelphia must show up to the game with energy, passion, heart, and dominate Dallas to get the momentum moving into the last week of the season against Washington. This is a really straight forward situation, and Philadelphia holds their own fate. Who knows, maybe the Eagles will beat the Cowboys so badly, that the late season collapse Giants can knock them off the next week. And then, the Eagles only have to win against those pesky Redskins.